Elizabeth Loftus was born on October 16, 1944, in Los Angeles, California, to parents Sidney and Rebecca Fishman. When Elizabeth was 14 years old, her mother passed away in a drowning accident. She graduated from the University of California, Los Angeles, in 1966 with a bachelor's degree in mathematics and psychology. She went on to attend graduate school at Stanford University and earned her MA in 1967 and her Ph.D. in 1970, both in mathematical psychology. Loftus's work has made her a figure of acclaim, scrutiny and even fury. Through her studies of memory, she has revealed that not only is human memory often surprisingly unreliable, it is prone to errors and susceptible to suggestion. Loftus has not only authored numerous books and articles, she has also appeared on a variety of television programs, including 60 Minutes and Oprah. She has testified at many trials, including those of accused child-murderer George Franklin and serial killer Ted Bundy. Loftus has close experience with the frailty and fallibility of human memory. At a family gathering for her 44th birthday, Loftus's uncle told her that she had been the one to find her mother's body floating in the pool after a drowning accident. Before that, she had remembered very little about the incident, but after her uncle's comment, the details suddenly began to come back. A few days later, she discovered that her uncle had been mistaken and that it was actually her aunt who discovered her mother after the drowning. All it took to trigger false memories was a simple comment from a family member, illustrating how easily human memory can be influenced by suggestion. Loftus's research has demonstrated the malleability of memory, and her work has had a particular influence on the use of human memory in criminal testimony and other forensic settings. One study published in the Review of General Psychology ranked the top 100 most eminent psychologists of the 20th century and Loftus was listed at number 58, making her the top-ranked woman on the list. Loftus, E.F. (1975). Leading questions and the eyewitness report. Cognitive Psychology, 7, 560–572. Loftus, G.R. & Loftus, E.F. (1976). Human Memory: The Processing of Information. Hillsdale, NJ: Erlbaum Associates. Loftus, E.F. & Doyle, J. (1987). Eyewitness Testimony: Civil and Criminal. NY: Kluwer. Loftus, E.F.; Hoffman, H.G. (1989). Misinformation and memory: The creation of memory. Journal of Experimental Psychology: General, 118, 100–104. Loftus, E.F. & Ketcham, K. (1994). The Myth of Repressed Memory. NY: St. Martin’s Press. Loftus, E.F., Doyle, J.M. & Dysert, J. (2008). Eyewitness testimony: Civil & Criminal, 4th edition. Charlottesville, Va: Lexis Law Publishing. Haggbloom, S. J., Warnick R., Warnick, J. E., Jones, V. K., Yarbrough, G. L., Russell, T. M., Borecky, C. M., McGahhey, R., Powell, J. L., Beavers, J., & Monte, E. (2002). The 100 most eminent psychologists of the 20th century. Review of General Psychology, 6(2), 139–152. Neimark, J. (1996). The diva of disclosure, memory researcher Elizabeth Loftus. Psychology Today, 29(1), 48. University of California, Irvine Faculty Profile. (n.d.). Elizabeth Loftus. University of California, Irvine School of Law. 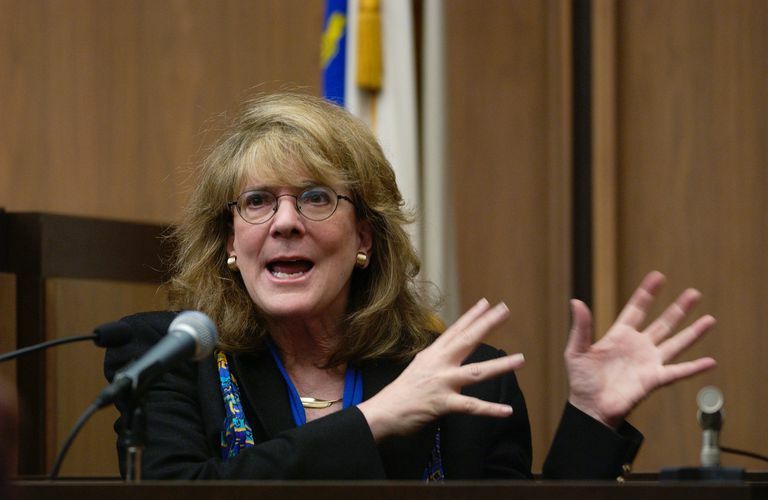 "Elizabeth Loftus awarded Gold Medal for Lifetime Achievement ." (August 2, 2013).